Understanding injustice — and learning how to articulate and address injustice — is at the heart our social justice studies program. This interdisciplinary major not only teaches you to identify social problems, but also prepares you with organizing and advocacy strategies and solutions that can be put into action. 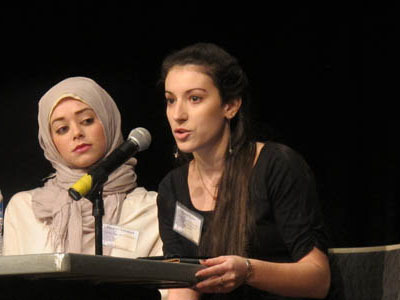 Through a variety of writing and original research projects, you'll gain the real-world skills and techniques needed to effectively pursue social justice advocacy work. According to the United States Bureau of Labor Statistics Occupational Outlook Handbook, careers in community and social services will grow faster than average (approximately 14 percent) by 2026. There are 1.5 million nonprofit organizations in the United States and more than 1,000 nonprofits in the Pittsburgh region alone. Explore the courses offered in our social justices studies major and career options available to you when you graduate. We are the only university in the region — and among only a few in the nation — to offer an academic program focused on social justice. 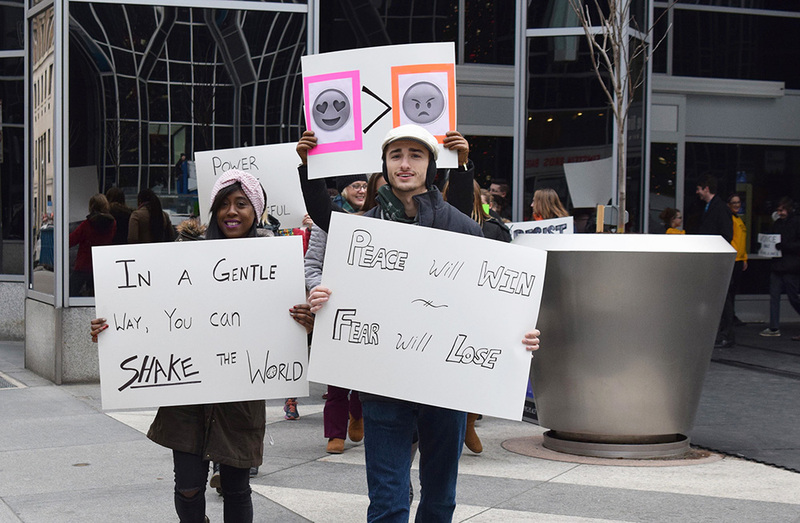 Point Park University students engage in a peaceful protest in Downtown Pittsburgh. You will receive a well-rounded education through our core curriculum and wide array of academically rigorous classes to choose from in the social justice studies major. Additionally, you will have access to internship and practicum experiences with social justice-based institutions in the Pittsburgh community and beyond. You'll also have the opportunity to present your research at Point Park University's Annual Undergraduate Interdisciplinary Symposium as well as regional and national conferences. Develop techniques of social science research including research design, archival work, interview protocols and ethnographic participant observation. With a degree in social justice studies, you will be uniquely positioned and empowered with solid research and writing skills to pursue a wide variety of local, national and international career opportunities. Additionally, this major provides students with the academic training necessary to pursue graduate education in fields such as social work, geography, anthropology, literature, psychology, public health, community engagement and more.